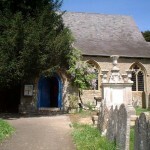 Wateringbury is proud of its strong links with St John the Baptist Church. The children make regular visits to church for worship and RE activities. Harvest, Christmas, Easter and Leavers’ services all take place in the church with children participating in all aspects of worship. The children’s study and understanding of Christianity is enhanced by class visits to the church where the children can explore the building and grounds; examine the different elements of worship; appreciate the interior’s beauty and serenity. 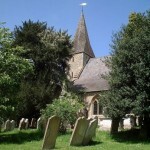 The walk from school to church is a well-trodden one for the children and they enjoy the village footpath which takes them alongside the orchard and duck pond. Children at Wateringbury come from many different faiths and no faith backgrounds. We embrace our Christian values – love, justice, forgiveness, compassion, wisdom, peace – as a united community which cares deeply about each person within it.